On November 3rd of this year, radio talk show host, car enthusiast and Pixar voice actor Tom Magliozzi passed away at age 77 due to complications from Alzheimer's disease. Tom was the voice of Rusty Rust-eze from the original Cars. As a tribute, I thought today would be an appropriate time to post the Mattel 1:55 scale diecast of Rusty. This character has been released several times over the years in multiple series, but the one I have here is the 2013 re-release which was part of last year's "Rust-eze Racing" sub-line (#3/8). 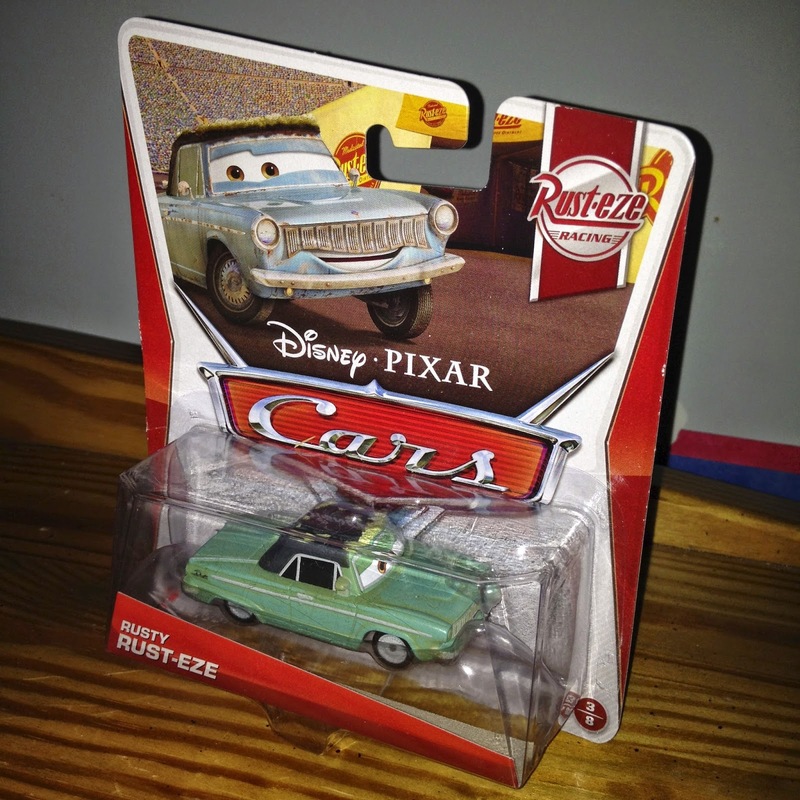 If you missed grabbing this character for your Cars collection, you can track him down easiest on either Amazon or eBay for pretty inexpensive prices.